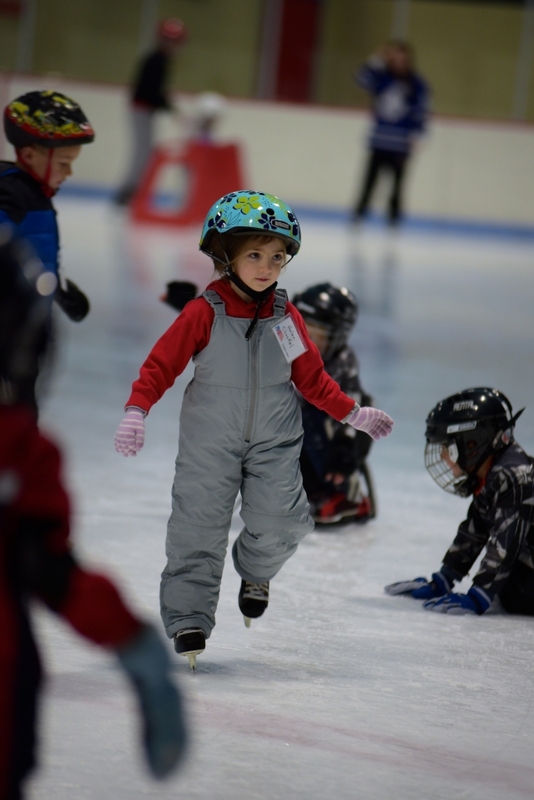 Learn to Skate Lessons for beginner skaters 4-12 years old. Fundamentals of basic skating skill will be the focus of the classes. Standing, balance, marching, dips, and pushes will be the focus for our first time skaters. We will also introduce backward skating and some skate edge skills. More advanced skaters, or skaters that have already taken a session or two of this program will work on: stopping, crossovers, transitions and edge control. Many skills will be incorporated into fun games that instructors will play with the skaters. We will also host a "Bring a Buddy Skate" for our last session where we encourage our skaters to bring a friend of family member for no charge!